Anne Frank’s diary survived the Holocaust, even though she did not. Although her non-fiction prose conveys a time of terror and confinement during the Nazi occupation of Holland, a musical telling of her life – by British composer James Whitborn – celebrates the teenager’s prevailing observations in a work called “Annelies.” Colla Voce, which means “with the voice,” is performing this program on Sunday, April 29 at the Jewish Community Center in Columbia. 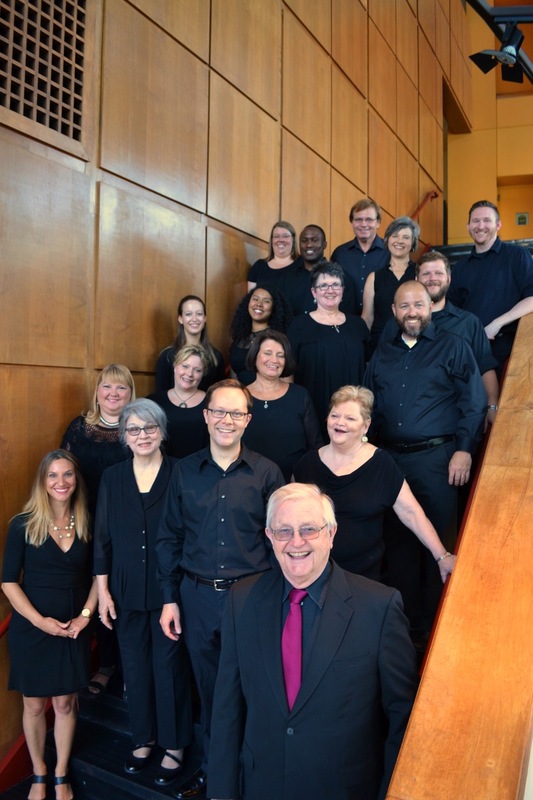 These local, professionally trained singers are directed by USC’s Director of Choral Studies, Larry Wyatt, Ph.D.
“Annelies” comes to Columbia after Colla Voce performs at the Kennedy Center in Washington, D.C., on April 22nd. Joining Colla Voce is David Ehrlich and the Avanti Trio, out of Blacksburg, Virginia; according to Dr. Wyatt, these musicians regularly perform a Holocaust Remembrance Concert, and he approached them about performing together with Colla Voce. “Annelies” is a work in 14 movements for chorus, soprano, and chamber instruments. Dr. Wyatt shares how the musicians have performed “Annelies” in many corners of the globe, including in Israel last year. Interestingly, renowned violinist David Ehrlich’s 95-year-old mother survived the Holocaust, making the work extremely personal to him. His wife, Teresa, is the pianist, while Dr. Wyatt’s son is the cellist and his son’s wife, Ariana, is the soloist. Colla Voce is made up of 30 members, all singers. Dr. Wyatt leads the group and together they rehearse weekly nine months of the year. Colla Voce performs at least three concerts in Columbia and accepts a few out-of-town concerts as well. Dr. Wyatt, the group’s conductor, organized Colla Voce 15 years ago. Performers range in age from 20s to 70s; all have various levels of professional training. For tickets to “Annelies,” call (803) 777-5369. The performance takes place at 3 p.m. on April 29th, and tickets are $15 in advance or $20 at the door.